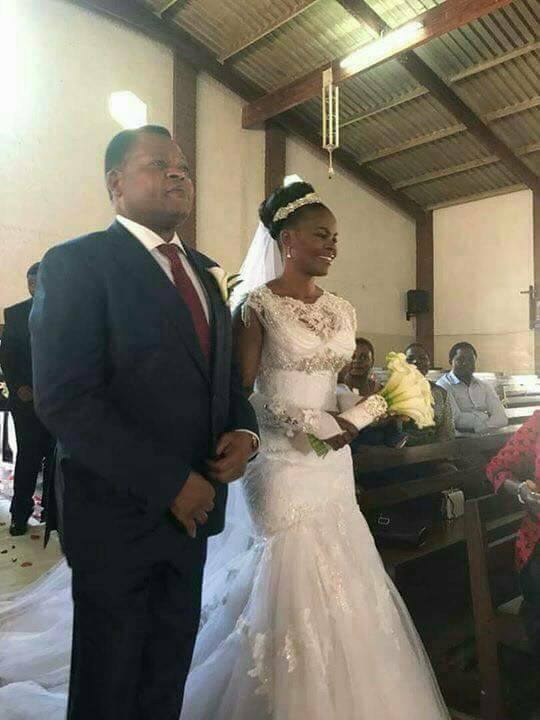 State House Chief of staff Peter Mukhito on Saturday tied a knot with his longtime lover Chance Mwale at St Patrick Parish in the capital Lilongwe. 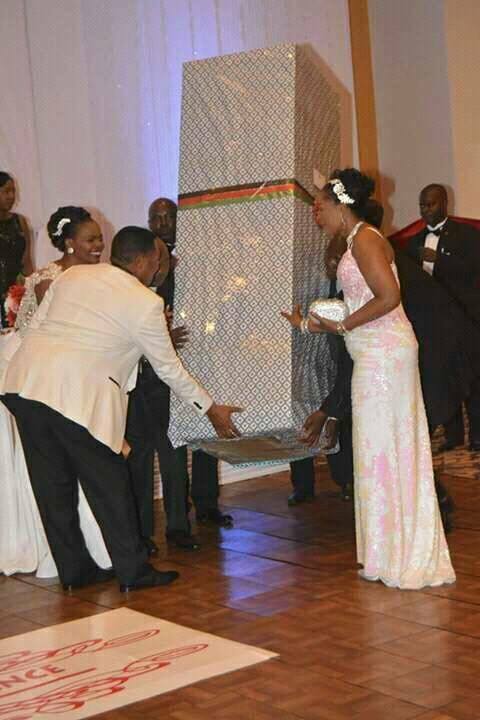 The reception took place at Bingu International Conference of Malawi (BICC) where the country’s First Lady Madam Gertrude Mutharika attended the wedding and she donated a fridge to the newly wedded couple. 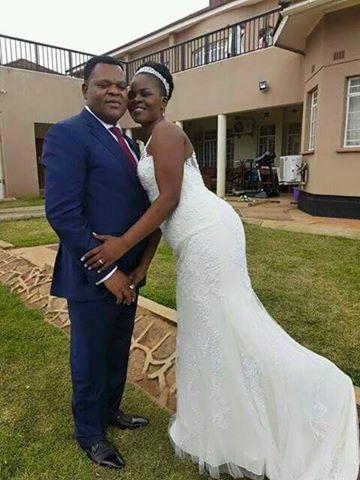 The former Inspector General of the Malawi Police Service (MPS) who became popular during the reign of former President late Professor Bingu wa Mutharika has so far dumped four wives, according to reports seen by faceofmalawi reporter. According to reports, Mukhito married his first wife from constable and rose in ranks. “At commissioner level he divorced his wife and married another woman. “When he attained the position of Inspector General of police he divorced again,” wrote Dan Mughogho on his official facebook page. Meanwhile Chance is the third wife for Mukhito.